Mass psychogenic illness is when people in a group start feeling sick at the same time even though there is no physical or environmental reason for them to be sick. They could think they’ve been exposed to something dangerous, like a germ or a toxin (poison). This could happen to a class in a school, or workers in an office. Is mass psychogenic illness common? Mass psychogenic illness has occurred for hundreds of years. It has happened all around the world and in many different social settings. No one keeps track of these outbreaks. But they are probably a lot more common than we realize. What causes mass psychogenic illness? Many outbreaks of mass psychogenic illness start with an environmental “trigger.” The environmental trigger can be a bad smell or a suspicious-looking substance. Or it could be something else that makes people in a group believe they have been exposed to a germ or a poison. When this happens, many of them may begin to experience symptoms of sickness at the same time. In some cases, one person gets sick and then other people in the group also start feeling sick. Why do people who are experiencing mass psychogenic illness feel sick? Outbreaks of mass psychogenic illness show us how stress affects us. Think of how stage fright can cause nausea, shortness of breath, headache, dizziness, a racing heart, a stomachache, or diarrhea. Your body can have a similar strong reaction to other stressful situations. People who feel sick in an outbreak of mass psychogenic illness really believe they may have been exposed to something harmful. Outbreaks also show how other people’s feelings and behavior can affect the way we feel. An outbreak of mass psychogenic illness is a time of anxiety and worry. A lot of media coverage or the presence of ambulances or emergency workers can make you and other people feel more anxious. At such a time, if you hear about or see someone get sick, it can be enough to make you feel sick too. Is the sickness “all in my head”? No, it is real. People who are involved in these outbreaks have real signs of sickness that are not imagined. They really do have headaches, or they really do feel dizzy. But in cases of mass psychogenic illness, these symptoms are not caused by a poison or a germ. The symptoms are caused by stress and anxiety, or by your belief that you have been exposed to something harmful. Psychogenic illness can affect normal, healthy people. Just because you reacted this way to the threat of something dangerous does not mean there is something wrong with your mind. How is mass psychogenic illness diagnosed? Many people get sick at the same time. Physical exams and tests show normal results. 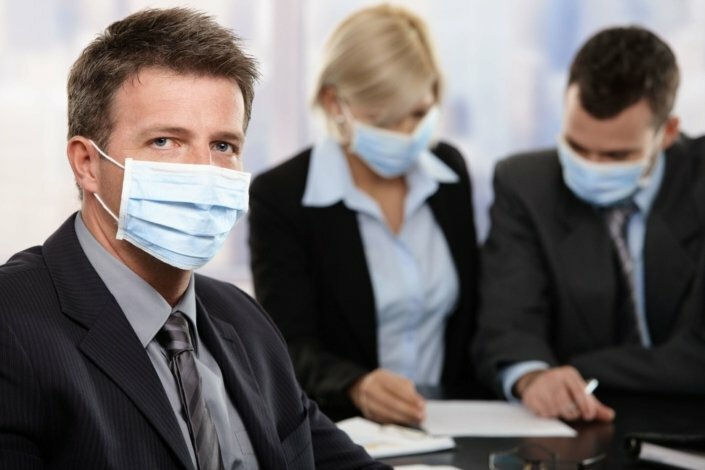 Doctors can’t find anything in the group’s environment that would make people sick. This could be some kind of poison in the air, water, or food. The kinds of illnesses that are reported. The kinds of people who are affected. The way the illness spreads. Your illness lasts several days. Tears keep coming from your eyes. Your skin feels like it has been burned. He or she can check for a different reason for your health problem. Can mass psychogenic illness be prevented or avoided? It is unclear how mass psychogenic illness can be prevented. You might think you are involved in an outbreak but you aren’t showing any signs yet. In this case, it might help to remove yourself from the situation. This could prevent you from developing symptoms. Most outbreaks stop when people get away from the place where the illness started. The signs of illness tend to go away once people are examined and doctors find that they do not have a dangerous illness. It is important to keep the people who feel sick away from the commotion and stress of the outbreak. After experts check out the place where the outbreak started, they can tell people whether it is safe to go back to that place. We all are in group settings at some points in our lives. This could be in school, at work, or in a living situation. It is easy to share stress and anxiety in these situations. Try not to get caught up in other people’s anxiety. Keep a calm and level head. Don’t assume that because someone else is sick that you are going to get sick too. This is probably the best you can do to protect yourself when living or working in group settings. Why am I feeling this way if there’s no medical reason for it? Does mass psychogenic illness mean that I’m mentally ill? Are there support groups for people who have experienced mass psychogenic illness? Can exercise and eating right help me to stop from experiencing this type of illness again?